Lucas Etter Rubic’s Cube World Record: After getting a humongous response for Sand River Video, Now a video is creating waves in social networking sites i.e. 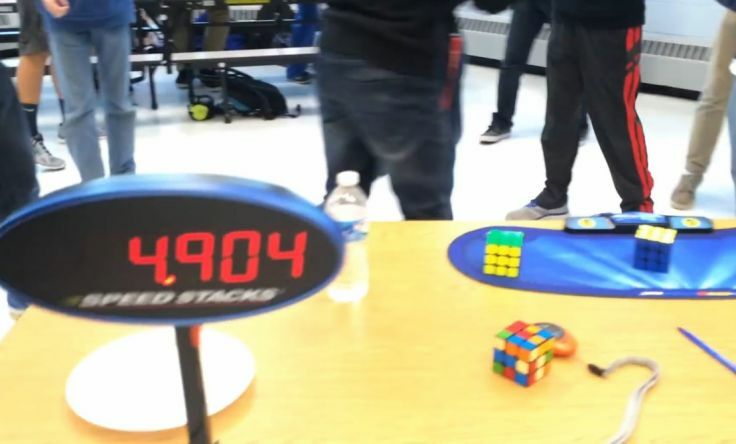 Lucas Ette Rubic’s Cube World Record in 4.90 Seconds. So, here is the complete story regarding New Rubic’s Cube World Record by Lucas Etter. Lucas Etter is a 14-year-old American boy has become the first person to solve the Rubik’s Cube puzzle in less than five seconds. 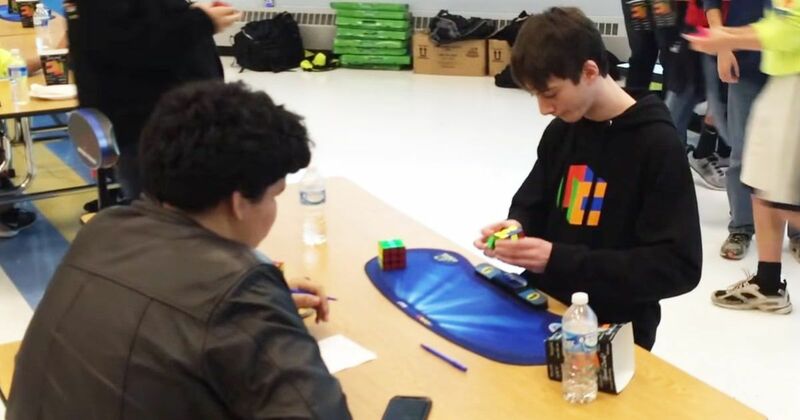 He set the new rubic’s cube world record at River Hill Fall competition in Clarksville, Maryland on saturday. His official time, recorded at the Rubik’s Cube World Championship on Saturday November 21 is 4.90 seconds. Lucas Etter broke Keaton Ellis (5.09 Seconds) rec0rd by 4.90 seconds and become the first person to break the 5 second barrier for unmixing a standard 3x3x3 puzzle. The Kentucky teenager named Lucas Etter unmixed the 3×3 cube in just 4.904 seconds. Competitors get 15 seconds to inspect the cube before attempting to solve it as fast as possible. 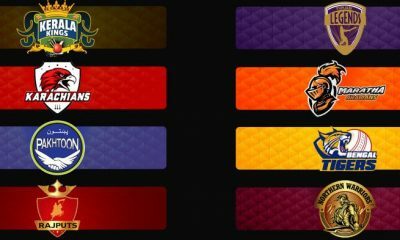 According to Fivethirtyeight, the world record had actually already been beaten by Keaton Ellis earlier that day, when he solved the puzzle in 5.09 seconds. it had taken him five years to break the five-second barrier. Lucas Etter is now officially the new World Record holder for the Rubik’s Cube single with a 4.90 solution time. The world Rubik’s cube championship has taken place every two years since 2003, and world records – first set at 22.95 seconds by 16-year-old Minh Thai in 1982. There are many friends in your circle who solved Rubic’s Cube in a short span of time. So, Share this Lucas Etter New Rubic’s World Record post to your friends and realising how slow they are. Delhi Boy Chetan Kakkar Offered Rs 1.27 Crore From Google! Best Black Friday Deals 2015: Ads,Sales,Offers,Coupons.